The past couple of years has seen cook-at-home meal kits go from a niche trend to the mainstream; a box of all the fresh ingredients you need, and an easy-to-follow guide for putting them together. But one of the challenges with nearly all kits is planning. 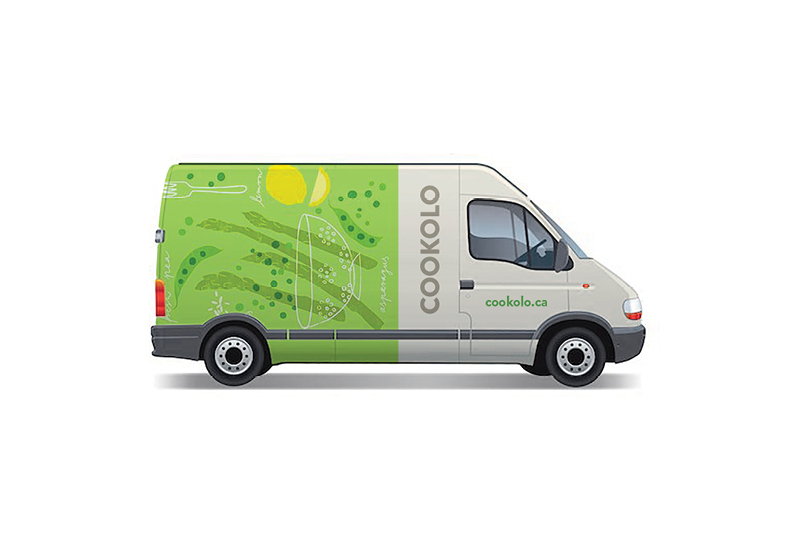 They’re delivered right to your door—not from a store—and the ingredients are fresh and chilled, so you need to decide on it a few days in advance. 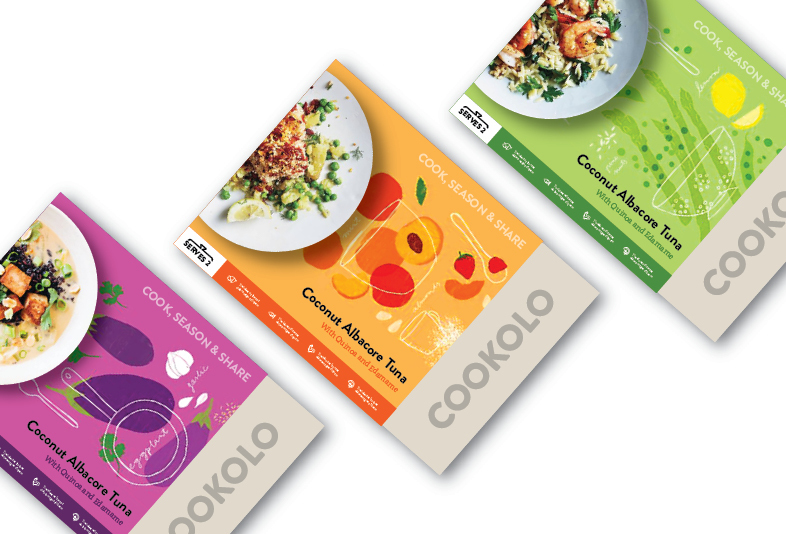 Cookolo comes at the meal kit idea from a slightly different angle; spontaneity. What if you could pick up your kit from the store on the way home from work? The only way of delivering this is in frozen form. 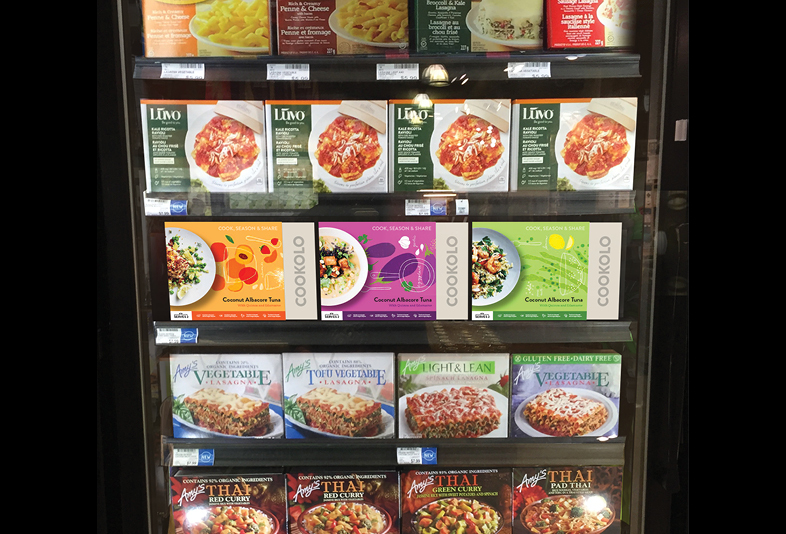 The project therefore bears its own challenges: reduce consumer negativity around frozen food (and promote the benefits); create packaging for something which has no category competition, yet has to stand out in the freezer cabinet. 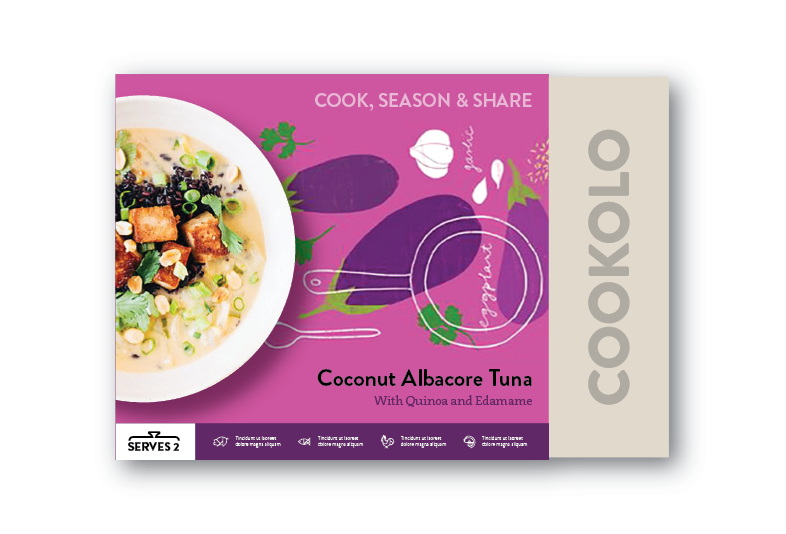 The solution challenges frozen food conventions, both graphically and in physical form, and intends to inspire and provide a consumer with the satisfaction of making a meal from scratch. With added convenience. 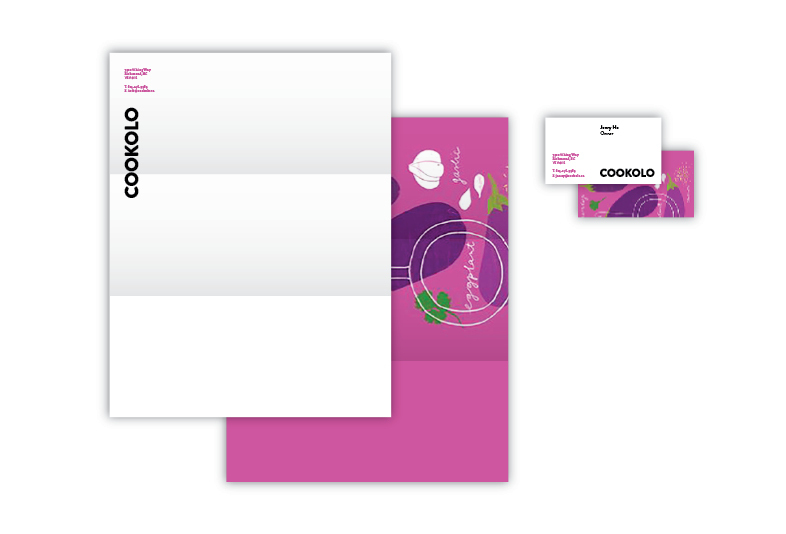 Creative shown is pre-launch concept visuals (not final product packaging). Work done under contract with Pendo, Vancouver.